The City Commission will vote next Wednesday on a streetlight assessment that will affect just about every property owner in the city, raising around $3 million to cover the cost of the lights and improve at least one-quarter of them. “I look at this an investment program that will give the city better lighting for safer streets and save us money,” City Manager Tim Riordan said prior to the first look at the proposed resolution. The six-year assessment would cover all property in the city, including such tax-exempt properties as churches, and city, state and federal buildings. It would shift the cost of the streetlights from the city’s General Fund, which covers the day-to-day operations of the city, directly to property owners. via Streetlight fee on city commission agenda. This tax will raise about $3 million a year and is scheduled for 6 years. Calculation will be based on property value, not lineal feet of street, so people who have dark streets will be paying for the blazingly bright Belmont Business District just because the commission can add a tax. Part of this money will be used to switch existing lights over to LEDs which consume a lot less electricity. Federal law requires cities to start making the switch – with each switched fixture costing half as much to run over the course of the year. We’re required to replace at least 1/3 right now according to the city manager. Instead of raising our taxes, might it have made sense to take the UPS/Emery air freight building at Dayton International Airport from UPS and started scrapping it ourselves- raising at least $4 million just from the diesel generators and the stainless steel fuel farm? Add in the $7 million UPS paid the city to get out of their lease, and we’d have $11 million to spend right away on replacing mercury vapor lights and cutting the cost in half citywide. There was also a pretty sophisticated conveyor system that could have been sold or scrapped for several million more. Instead, we gave it all away to IRG, including a check right off the bat for $3.5 million. So, the reason you are about to be taxed for streetlights is really not because we’re broke, but because you, the voters in the city of Dayton decided to elect some dim bulbs to the city commission. Note, Mayor Gary Leitzell was the only one who voted NO to give away the valuable asset of the UPS/Emery Air Freight hub to the vulture capitalists at IRG. Will the last person leaving Dayton, please turn out the lights? If the last person out of Dayton would just agree to turn out the lights, you folks wouldn’t need a new tax. This is a democrat party special. GE (who owned NBC in 2008) hooks obama and the DNC up with the presidency so in return they use the power of the federal government to make us buy LED lights from GE. Don’t gut the bloated out of control government structure to save money, just pass the cost on to the middle class as usual. How can the democrats claim they are looking out for the working man with strait face? Keep printing money to pay for it all so my cost for food and essentials goes up even more. Thanks for the hoax and crime or uh I mean hope and change. No doubt the occupy goofballs and all the black people living on the democrat plantation will support another 4 years of this. Are there any responsible people left in the democrat party? Ho do the responsible people in this area free ourselves from being oppressed with the burden of funding the democrat plantation? @ larry sizer The democrat plantation is leaving Dayton right now, most of them being shipped to the south suburbs to live rent free on our tab. The obama voters that destroyed dayton are destroying the sourth suburbs as I type. Soon it will be time to leave the county not just dayton. Typical. Since there are no residency requirements in Dayton anymore, does anyone know if the commissioners or the city manager lives in the city? I know the Mayor does. Wouldn’t that just be icing on the cake if they voted it in and didn’t have to pay it. I know this should not surprise me, and I guess it doesn’t…I think it makes me more angry than anything. The only way they could come up with a resolution to the requirement was to tax the residents more? I really don’t know what to say at the moment. The only people required to live in the city are the Mayor and the commissioners now. Thanks David. I guess it’s a little comfort to me knowing they voted themselves a tax too. Not that I think it should have ben done at all. My water bill is enormous and it’s not the water that costs me an arm and a leg – it’s everything else tacked onto it. Boy that democrat forced busing policy in the 70’s really paid off for Dayton in the long run. Now they are busing those same horrible people into the suburbs to live rent-free. DMHA buys entire apartment complexes and gives notices to all of the tenants. DMHA pays them $950 in moving expenses and as much as $5,000+ to subsidize their rent in an equivalent apartment in the area. Then they move the democrat plantation people into the apartments without telling any of the residents in the area what they are doing. When will esrati.com do a story on the tax money being spent on these projects? Keeping the public ignorant is the DDN’s job or is it Esrati’s job as well? Tell the taxpayers what their money is being spent on David. Screw the small businesses buy apartments for welfare moms in Centerville? The biggest scam is right under your nose David. Report it. I see there’s a new comedian here… smells like reality doug. Dan, what is so funny? Racist multiculturalism experiments like this are not funny at all. They are racist anti-white social engineering programs that have already failed and have been ended in Europe. It is based on the racist anti-white brainwashing that is taught in our schools (teachers=useful idiots) where black people are always victims. In reality slavery is the best thing that ever happened to black people as they have enjoyed 400 years of an exponentially higher quality of life living here. The drastically low standards in their culture (71% of children born outside of marriage to name one) contaminates and weakens the high standards in the white culture when the two are exposed to each other. It functions as a vehicle to take everyone to the lowest common denominator. Nothing to laugh at. ahh… internet. where everyone gets to air their truly warped points of view. You can’t dispute the facts so you call people names or use slogans to silence and bully them Dan? Thanks for using that typical liberal tactic. If you don’t like my fact based position put together a logical fact based argument and explain why I am wrong and stop acting like a nazi. Warped views like people who voted for someone that went to Wright’s church for 20 years in Chicago. @OMFG You sound like a little girl. In central Africa right now (where black people were sold by their own people) the life expectancy for a male is 38. There was a much higher quality of life and life expectancy on a plantation in the 1850’s. If your choice is central Africa or the plantation, chose the plantation. Stop believing and repeating the government/liberal lies we are brainwashed with in this country. Dude, you’re so far beyond the pal that you are absolutely not worth the time arguing with and disputing your so called “logic” and “facts.” I could come at you with everything my years of education in history has given me but it’s useless because you only want to hear what will reinforce your, yes, absolutely warped viewpoint. You bandy about terms like nazi and racist and have no idea what they mean. You are in fact thee most racist despicable person I’ve come across in years (on the internet at least), and that’s really saying something. How’s that for name calling? Here’s a somewhat more eloquent way of expressing part of “Democrat Classic”‘s point of view…. that might be his p.o.v… but that isn’t what he said. what he expressed was a bunch of racist garbage… what you expressed is a political perspective. I imagine he’ll probably find it to be more “liberal lies” written to “brainwash” him. He certainly would have fit into the period in which the book was written — his reactions are not unlike those of many from that time period. Democratic Classic, I think you forgot to take your meds. My water bill is enormous and it’s not the water that costs me an arm and a leg – it’s everything else tacked onto it. @SheilaO – like what? I thought the only other thing included was trash service. Getting back to the Streetlight issue, this is nothing but a tax increase that the residents of Dayton will not have a chance to vote on. In addition, of the total amount to be raised $18 million ($3 million per year over a six year period) over 10% ($1.8 million) is not going to the streetlamps, but is going to be used for “administrative costs.” This is another example (just like the traffics lights and tow fees) of the Commissioners and City Manager trying to balance the budget by raising “fees” (taxes) without the voters approval. Last November, the Commission agreed to new three year contracts with some of the City employees. So now, 8 months later, we have fixed costs and insufficient revenue. With both the federal and state government cutting spending, it is easy to predict that the Commission will be back right after the 2013 election is over with more fees for services that our tax dollars should already be paying for. DAYTON, Ohio (WDTN) – Dayton city leaders have pulled a street lighting plan off the table, for now. 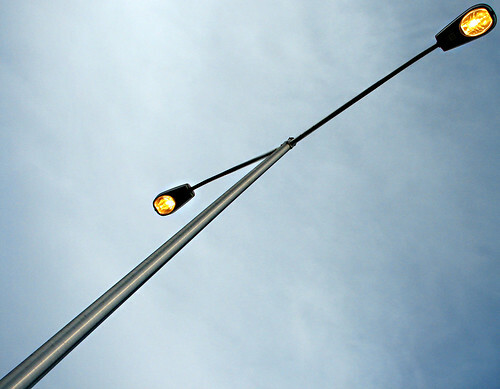 At the city commission meeting held June 13, officials announced the plan to upgrade all of the city’s lights to LED’s will not be happening in 2013. Residents’ concerns about covering the costs for the upgrades was cited as the reason for the change of plans. Dayton taxes are not that high. But Dayton will enforce the cameras on street corners, still, at Abby and Liscum at I-35. I hate those darn things; they will pester you to pay them 80 bucks for years, and I don’t think Dayton gets much cash from them. Gary, Dayton’s taxes are too high when compared with the communities surrounding Dayton, some of which have a zero income tax rate, compared to Dayton’s 2.25%. In addition, taxes are designed to pay for government services, and if those services are not being performed properly, taxpayers will vote with their feet and go to a community where their tax dollars are properly spent.